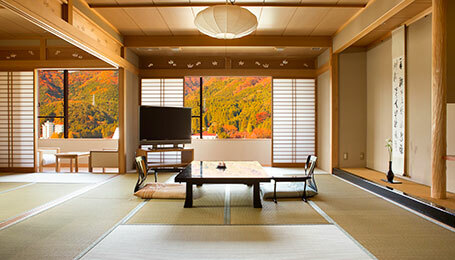 The terrace of every guest room offers dramatic view of Kinugawa valley, you can enjoy the beautiful seasonal scenes of the valley, from the fresh green of summer to the colorful foliage of autumn. 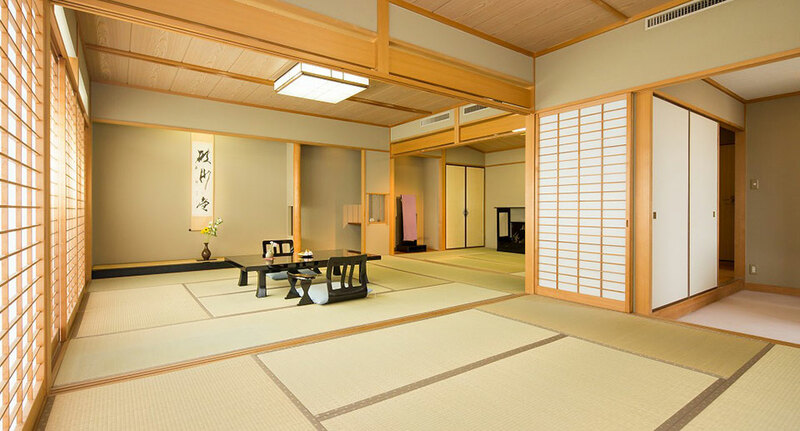 The 74-square-metre spacious and beautiful Japanese Tatami rooms allowing us to promise you enough space for a comfortable, relaxing stay. The 74-square-metre Executive Japanese Rooms includes TATAMI floor,Japanese style bed(Futon) , providing contemporary comfort for 6 adult. 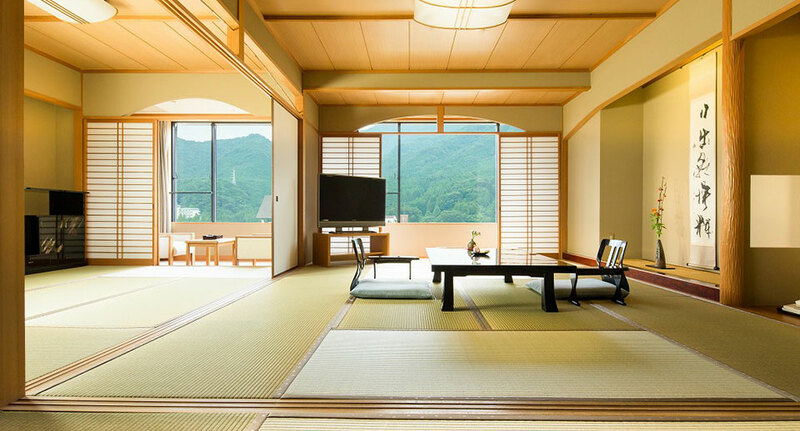 The 74-square-metre Japanese ＆Western-twin room includes The flat,open living rooms combine Japanese and Western-style furnishings , providing contemporary comfort for 5 adult. 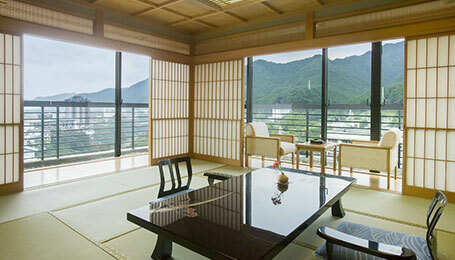 Each room directly faces the Kinugawa valley. 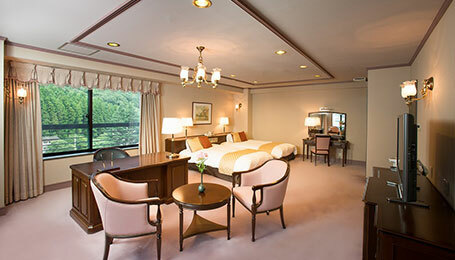 With the windows open, the suite fills with the smoothing sounds of the Kinugawa river and its surrounding nature. The 180-square-metre Western-style Royal suites in an atmosphere of vacation house with a spacious living room and comfortable bed room includes two semi-double Simmonsbed(120cm×210cm). Providing contemporary comfort for 1 to 2 adults. 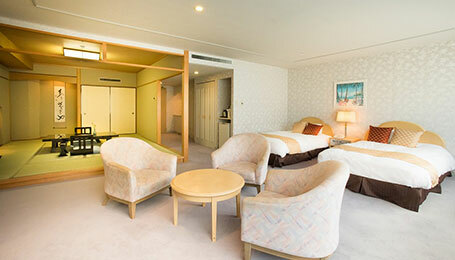 The 180-square-metre high-class Japanese suite with open 'Japanese Cypress' fragrance air bath. Providing contemporary comfort for 1 to 6 adults. 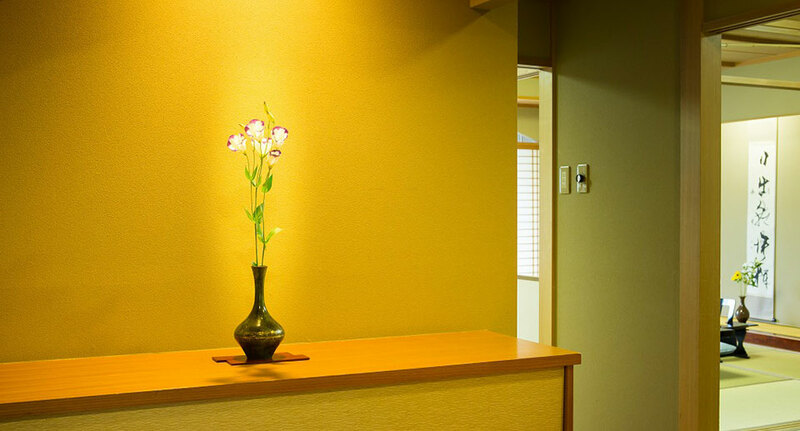 * If you staying at "Japanese Western-style room" with more than 3 people, we will prepare Japanese Futon at Tatami-corner. This will cost extra charge per a Futon. Please confirm at the reservation.